As a wealth manager at Garde Capital, Ashley’s passion is driven by her need to help individuals and families financially succeed. 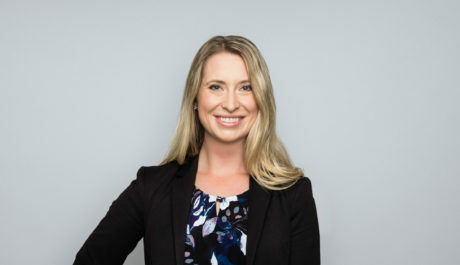 With over 10 years of direct real estate development experience in the greater Seattle Area, Ashley has watched her parents and other real estate developers suffer severe economic hardship during the financial crisis. The impact of watching them struggle to regain financial security is what motivates Ashley and her partners to develop wealth management solutions for affluent individuals and families that address their five biggest concerns: preserving wealth, mitigating taxes, taking care of their heirs, ensuring their assets are not unjustly taken and charitable giving. Ashley is also a fiduciary to corporate retirement plans and assists plan sponsors by managing their 401(k)s and helping their employees plan for a successful retirement. A Washington native, Ashley loves being outdoors — especially trekking through the San Juan Islands and around the Canadian coast in a boat with her family. Wherever her travels take her, she’s sure to explore the culture the most reliable way she knows: through food!